Heart, Butterfly, Flower and Star design Capiz Chips in 50mm. 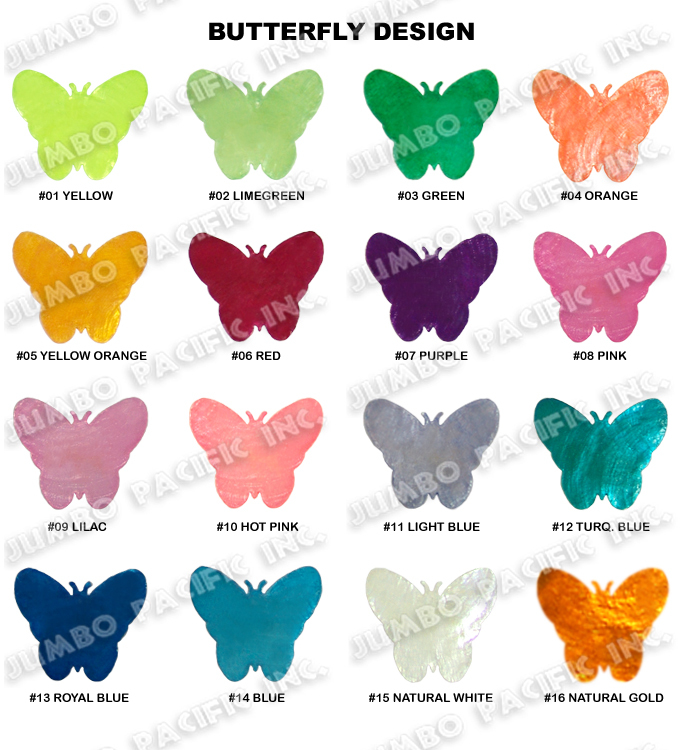 Description: 50mm Colored Capiz chips in butterfly shape design. Click the picture for bigger view & its code. 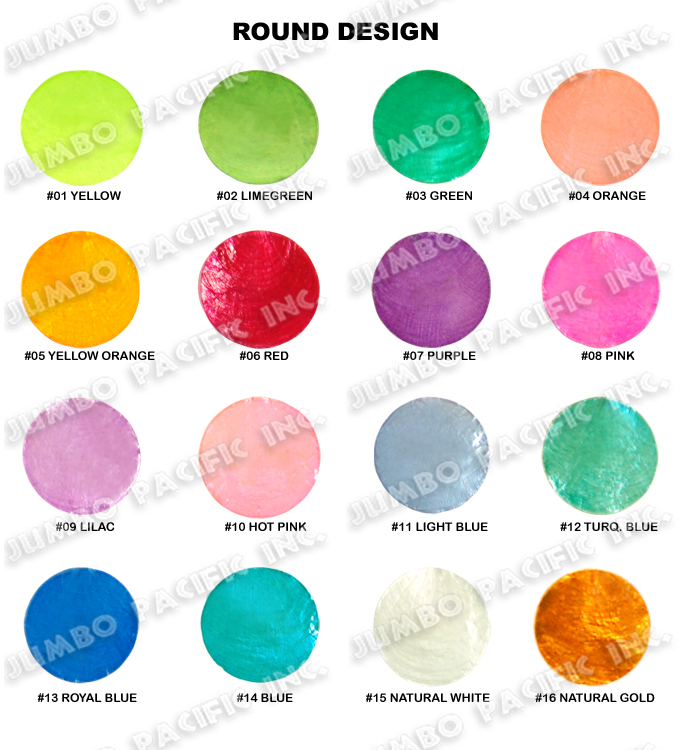 Description:50mm Colored Capiz chips in round shape design. Click the picture for bigger view & its code. 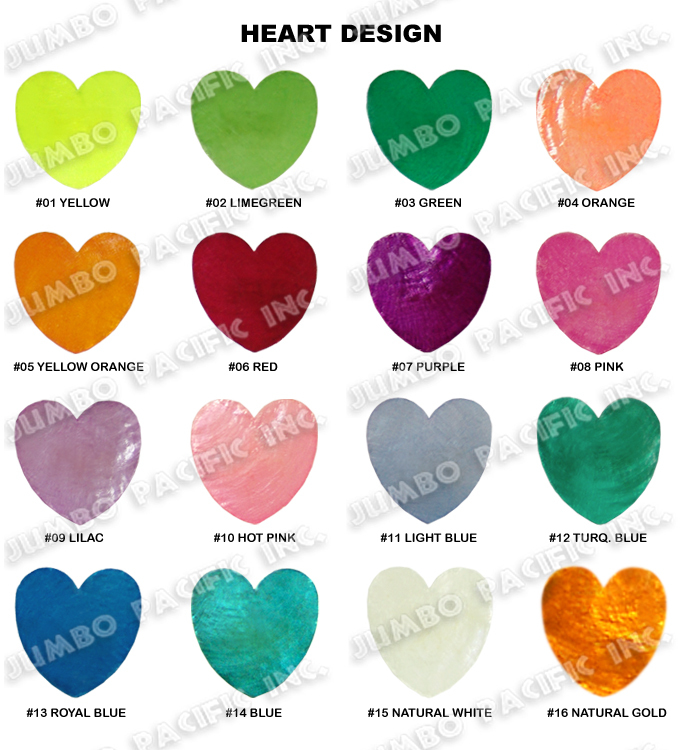 Description:50mm Colored Capiz chips in heart shape design. Click the picture for bigger view & its code. 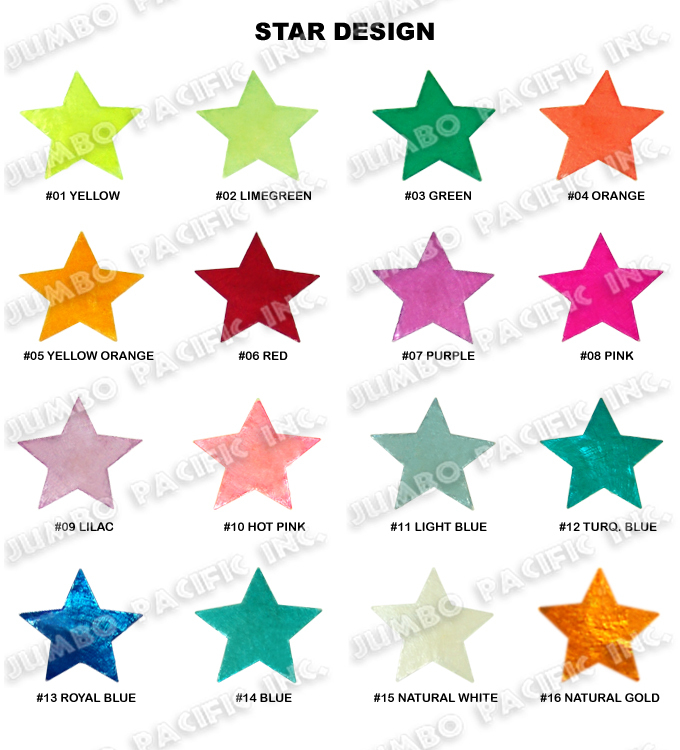 Description:50mm Colored Capiz chips in star shape design. Click the picture for bigger view & its code. Description:50mm Colored Capiz chips in flower shape design. Click the picture for bigger view & its code. 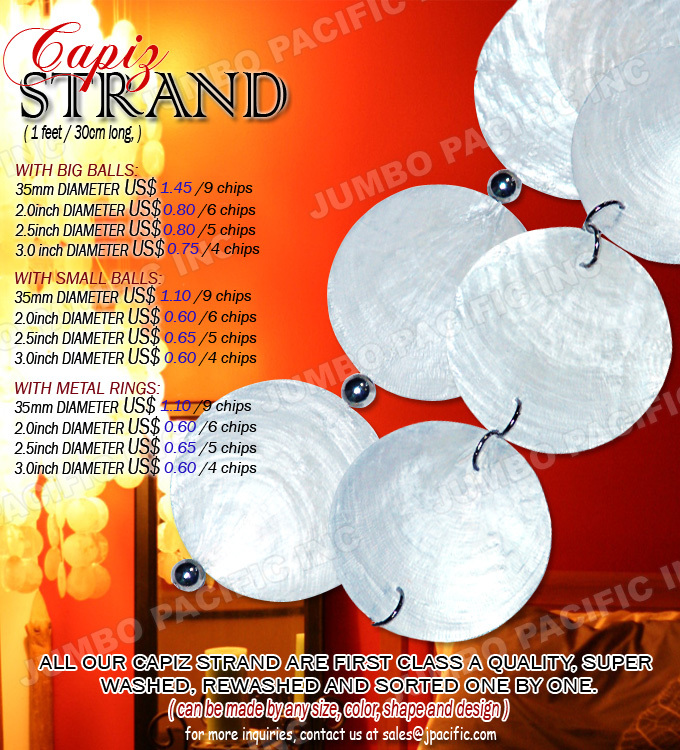 Description:1 feet/30cm long strands Capiz chips natural white with metal ball or rings. Available in any colors and shapes.